It’s the Nickelodeon’s night of nights, when all our favorite pint-sized stars dress in their finest to strut their stuff on the orange carpet. 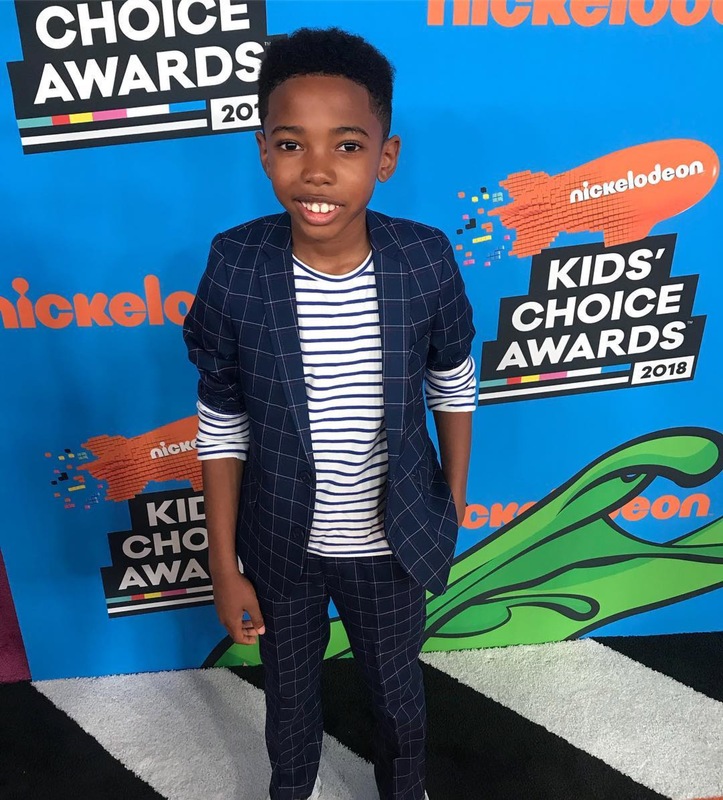 Here’s a round-up of our fave Appaman looks from the Nickelodeon Kids’ Choice Awards. 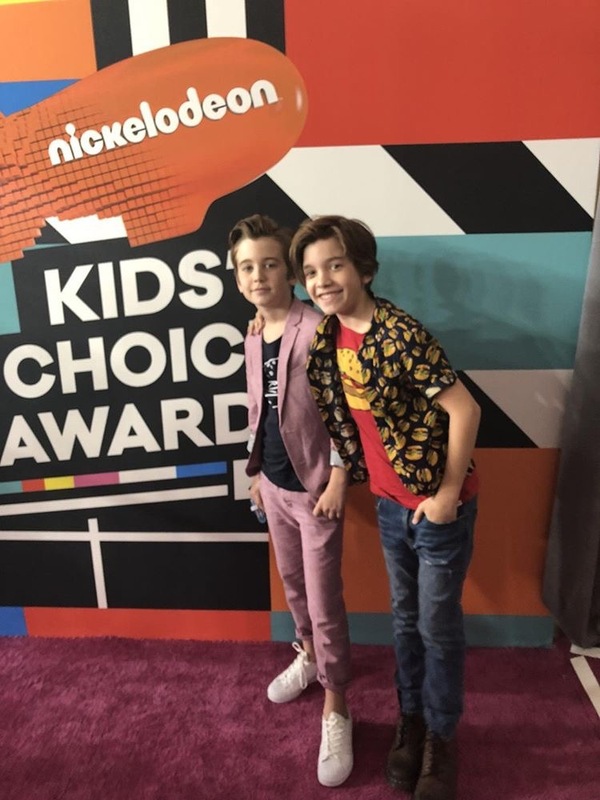 Appaman’s favorite brothers Parker Bates and Prestyn Bates were absolute stars on the Orange Carpet this weekend. Parker rocked it in our Mod Suit in Raspberry and Burger Tee, and styled the look with white sneakers and a casual rolled sleeve. E! Online LOVED his look. Prestyn went in full-burger mode in our Burger Tee and Pattern Shirt with jeans and boots. Snap up these sharp orange carpet looks for yourself now – all styles still available online! Appaman fan favorite JD McCrary looked super fly in our Mod Suit in Navy Windowpane from FW17. 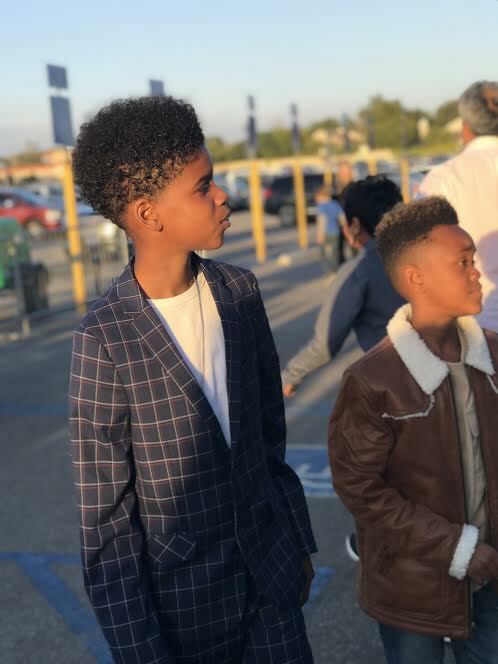 JD is already a household name thanks to THAT performance with Childish Gambino at the Grammys, but he is set to be a worldwide star after landing the role of Young Simba in the upcoming film production of The Lion King. (Sidenote: there was huge excitement in the office when this film adaption was announced – Beyoncé as Nala? Yes, please.) JD styled the suit with white sneakers, a necklace and a casual white tee. The Mod Suit is no longer available in the Navy Windowpane option, but luckily we have a fresh spring update on the blue suit, the Mod Suit in French Blue, plus other Fine Tailoring looks to style your way. Like JD, you can style this with a tee and sneakers, or go formal with dress shoes, a shirt and bow tie. Seth Carr played the flashback version of Michael B. Jordon as a young Erik Killmonger in Marvel’s Black Panther – so you KNOW he’s set to be a huge star. The film just grossed over a billion dollars at the box office; and is breaking records left, right and center. We are so proud that Seth picked out our suit for the red carpet – we LOVE the styling with a casual stripe tee and rolled sleeves. ← Appaman Summer 2018: Boys.